Innovative Eye Care's hand picked eyewear allows our patients to express their individual style. Our unique collection is made up of both independent, small business companies and designer brands you know and love. We use the newest ophthalmic lens technologies to provide the best visual experience. Get to know some of our featured frame brands. Article One is an independent eyewear company based in Flint, Michigan. They produce handcrafted eyewear in Italy with complete brand transparency and a spotlight on the hands that craft their frames. Article One is a proponent of supporting independent optical, giving back to the community, and thoughtful design. Article One was founded to raise awareness and funding for Vitamin A deficiency in developing nations. Article One donates $2 to the Helen Keller International's vitamin A supplementation for each frame purchase. Jonas Paul Eyewear is an exclusive children's eyewear line based in Grand Rapids, MI. The company was founded by Ben and Laura Harrison inspired by the birth of their son, Jonas Paul. Jonas was born with a rare disorder resulting in vision loss. Ben and Laura launched Jonas Paul Eyewear with the mission of helping children feel beautiful in their glasses and providing sight to children in need with every purchase. Jonas Paul Eyewear donates to various partners that provide support for visually impaired children all over the world for each frame purchase. STATE Optical Co. is a first-of-its-kind brand of luxury eyewear built from the ground up in Chicago. STATE Optical Co. is the only eyewear brand designed and manufactured exclusively in America. Their frames are meticulously handcrafted to be a genuine expression of one's personal style and distinct personality. STATE Optical Co.'s passion lies in creating frames deserving of the individuals who wear them. Individuals who appreciate that how your frame is made is as important as how it looks. MODO was born in 1990 in Soho, New York, under the entrepreneurial spirit of its founder, Alessandro Lanaro. Since its beginning, MODO has evolved into a company that designs, manufactures, and distributes a successful portfolio of house, designer, and contemporary lifestyle brands – all under the common denominator of design and innovation. Modo created the BUY A FRAME – HELP A CHILD SEE program to provide early detection and intervention services for visual problems in needy children. MODO donates to this cause with each frame purchase. OVVO Optics history goes back to Europe of the Cold War era. A group of scientists who were working on developing a material for spacecraft and military use, fused surgical steel and titanium, achieving an exceptionally light, durable and flexible material that is also hypoallergenic. Inspired by its remarkable qualities, in 1980 the engineers of the company started using this unique composite to make frames for glasses. They are handmade, but manufactured with outstanding precision, mastered by over 30 years of experience. Entirely produced in Germany and Poland, OVVO frames bring exquisite European style and unmatched quality. Silhouette has been making eyewear in Austria since 1964. They revolutionized the world of eyewear with the world’s lightest glasses. Ensuring that when it comes to comfort, Silhouette eyewear is second to none. Extremely high standards of workmanship and the use of the latest materials and production techniques enable Silhouette to create new and innovative products. From the very outset, Silhouette has always pursued a vision that still holds true today: Creating the most beautiful eyewear in the world. Ray-Ban has been instrumental in pushing boundaries in music and the arts, forging the rise of celebrity culture, and creating the power of the rock and movie stars to influence fashion over its eighty years in the eyewear industry. From James Dean to Audrey Hepburn to Michael Jackson, Ray-Ban has proven essential for individuals who don’t want to be seen - but definitely want to be noticed. Ray-Ban has left an indelible mark on culture history. Oakley is one of the leading product design and sport performance brands on earth. World-class athletes depend on their products to compete at the highest level possible. The holder of more than 800 patents, Oakley is also known for its lens technologies, including High Definition Optics®. Oakley has an extensive eyewear collection that appeals to sports performance, active and lifestyle individuals. On the cutting edge of fashion, Scott Harris has the hottest looks before they hit the masses. Whatever your style may be, the collection has endless possibilities to make your own statement. From casual to professional, playful to dramatic, edgy or refined, there is a Scott Harris frame that is a perfect reflection of you. Made from the highest quality materials and craftsmanship, Scott Harris frames may end up being one of the longest lasting eyewear you’ll ever have. Prada represents the best of Italian culture and tradition. It is one of the most innovative, prestigious, and widely recognized brands in the fashion and luxury goods industries. Prada pays strong attention to details and new trends. The Prada eyewear collection reflects this approach with unmistakable style, refined elegance, and high quality. 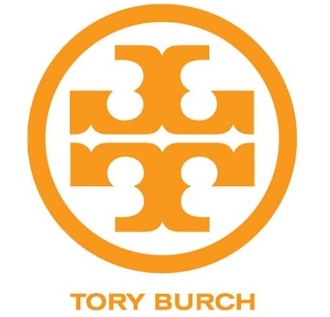 Tory Burch is an American luxury lifestyle brand that embodies the unique sense of style of its chairman, CEO, and designer, Tory Burch. Tory is known for her bohemian preppy aesthetic. Her bold use of color, graphic prints, and eclectic detailing are all brand signatures found in the eyewear collection. Burberry was founded in England in 1856. The brand is known for its design, craftsmanship, and innovation. Burberry has become a leading fashion luxury brand with a distinctive British identity. The eyewear collection includes recognizable iconic elements for both men and women. Get to know some of our featured ophthalmic lens technogies. When Transitions® lenses are exposed to UV light, trillions of photochromic molecules in the lens begin to change structure. This reaction is what causes the lenses to darken. Transitions brand exclusive patented formulas are integrated into the surface of the lens. These molecules constantly smoothly recalibrate so the optimal amount of light reaches your eyes whether you’re in bright sunlight, under cloud cover or indoors. Crizal No-Glare lenses give you the clearest vision possible. Industry-leading and patented technologies ensure that Crizal lenses meet your standards and help provide you with superior protection against glare, scratches, smudges, and UV light for the sharpest sight. Xperio UV™ polarized prescription sun lenses help you see more no matter what you're doing outside. The lenses provide excellent clarity of vision all while protecting your eyes with a superior quality lens. Available in a variety of color options, Xperio UV polarized sun lenses provide maximum UV protection, easy cleanability, and exceptional scratch resistance for the best vision under the sun.